THE HIT SERIES IS BACK! Kitty Ravencraft, the beautiful magical witch and star of her own comic book, re-turns! This time Kitty is on top of the World! Her new comic book series is a huge success and she's once again the talk of the comic shops! Naturally, Kitty's publis-her wants to capitalize on her new-found popularity with a big budget blockbuster Kitty movie! To make this happen, Kitty goes off to Hollywood, but once again she finds herself in danger! 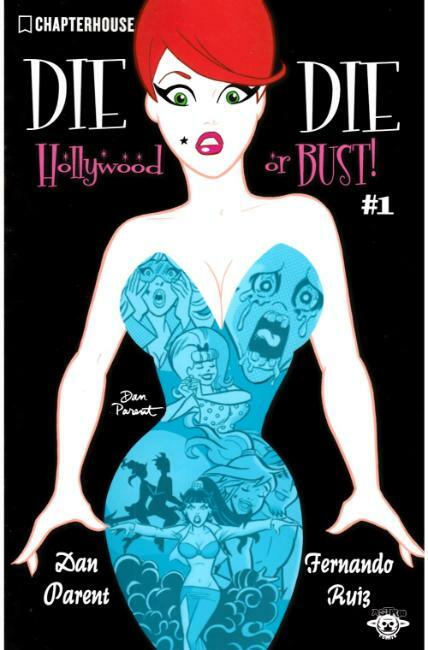 Die Kitty Die: Hollywood Or Bust will be Kitty's biggest... scariest... and funniest adventure yet! It will be magical. Hopefully she'll survive!